This forum examined the Federal Reserve’s role in addressing the financial crisis, its exploding balance sheet, and its penchant for secrecy — which is now coming under increasing fire. Our special guest was Sen. Bernie Sanders of Vermont, a longtime advocate for greater transparency in the central banking body. 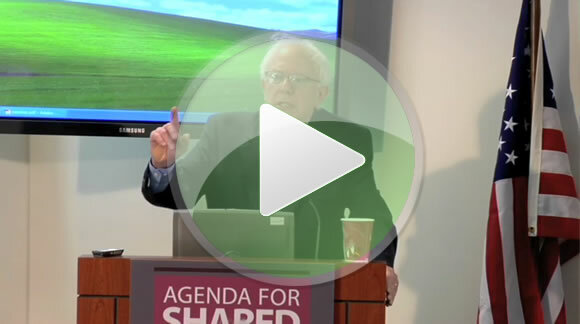 Sen. Sanders opened the event at 9:30 a.m. with a look at efforts in the Senate to open the Fed’s books.